the best somthing there is! Actually common in China - from memory it's a strange slimy vegetable that doesn't have an English name as it only occurs in canals in more northern parts of china. 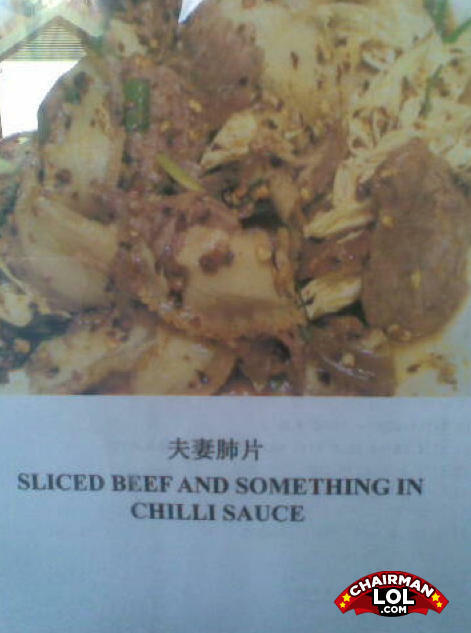 OK - it tastes better than it sounds! What is it you ask? Who knows! That's part of the fun!